Sen. Patrick Leahy is pushing a bill that would overturn the Supreme Court’s Citizens United campaign finance ruling. On Town Meeting Day in March, more than 60 Vermont towns approved resolutions calling for a constitutional amendment to reinforce campaign finance laws. There are several proposals pending in Congress that would reverse Citizens United. Leahy is co-sponsoring one measure called the DISCLOSE Act. Leahy says that proposal was crafted to ensure individuals rather than corporations are still the primary players in U.S. elections. "I don’t think that anybody ever expected in this country that a corporation could be considered a person as though they vote, or that a large anonymous PAC could determine an election," Leahy said Monday. Leahy has scheduled a hearing before a Senate subcommittee on the Constitution for later this summer to look at proposed changes, but he’s urging patience. 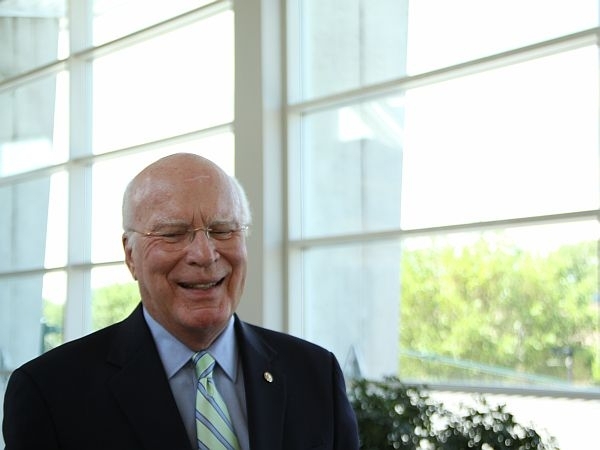 "It takes years and years, if ever, to amend our Constitution," Leahy explained. "Just because we’re looking at a constitutional amendment, I hope nobody sits back and says, ‘OK, we don’t have to do anything else.’ I think we should keep working to try to change the legislation, to put some holes in this." Leahy says his office will continue to look for both legislative and non-legislative remedies to reverse the Supreme Court’s ruling.